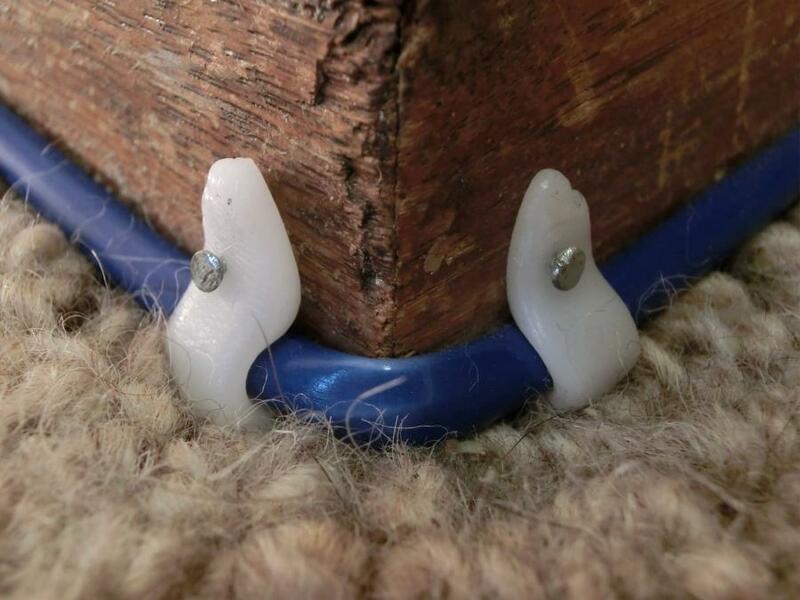 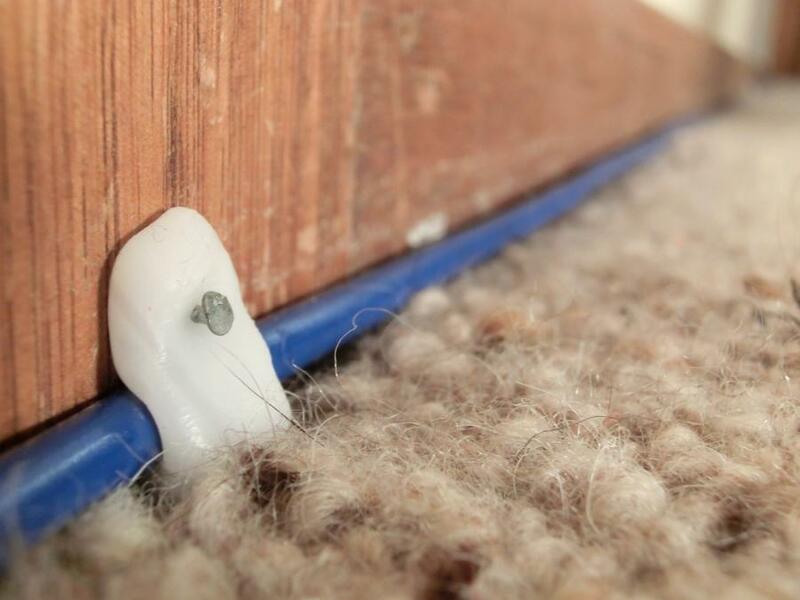 We made a few cable clips to keep our network cable running neatly along the skirting board. 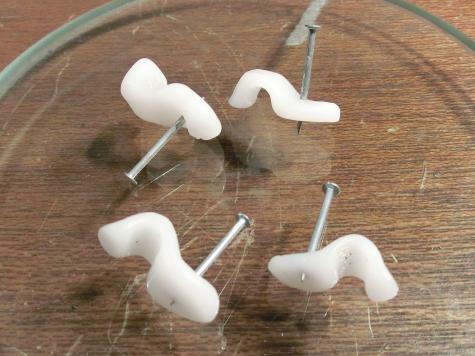 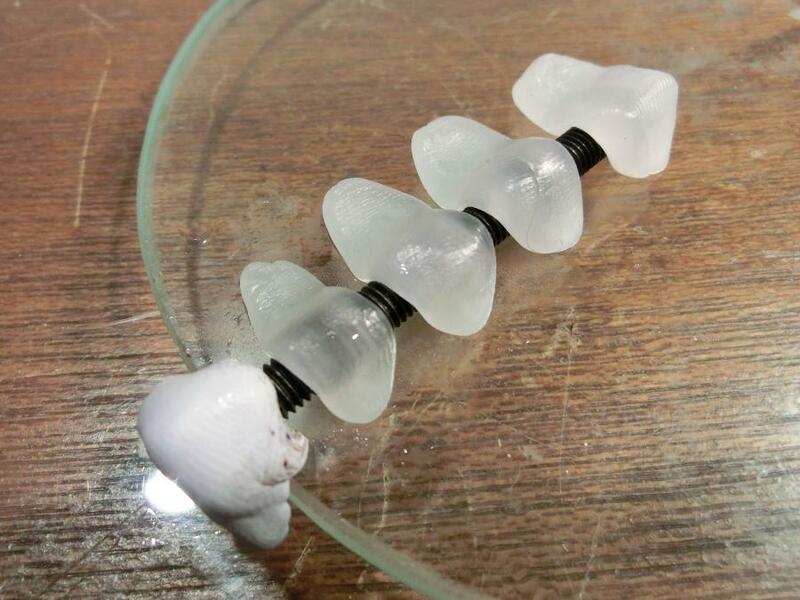 We achieved the clip shape by moulding small pieces of warm Plastimake over a metal bolt. These kind of clips are pretty cheap to buy at any hardware store, but then you'd miss out on the satisfaction of making them yourself!